Don't use the sponges that come with the makeup. Or the makeup fairy will find and will make you pay. You know what, just throw them out now so that there's no temptation. Sponge applicators always waste a ton of powder when you pack it on to apply it to your face. It's pretty gross too, think about it. The oil from your face ends up on the product's surface unless you wash and dry the sponges every time. That's how that hard shiny top forms on top of your makeup cakes. Instead, invest in some good brushes. If it's really out of the question to shell out 50 or so bucks, try a set of travel brushes such as Eco Tools 5pc Brushes, available for around 11 dollars at retailers such as Target or Ulta. You'll have to continuously clean them though, each brush might have two different uses- for example, you'll be using your powder brush for your blush brush as well. But no matter, the important thing is that you have the tools you need to create many beautiful looks. 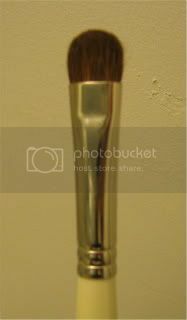 Don't hesitate to buy artist brushes for make up! Small synthetic brushes make fantastic concealer, lip and eye liner brushes and coarser, fluffier brushes blend better than anything else out there. You can buy these at any art supply store for around 5 bucks a brush. Also, you can buy brushes at e.l.f cosmetics for literally a dollar each (they're not the best in the world, but they do in a pinch, especially if you treat them right). Right now, I use a Sephora Brand 12pc set that I scooped up for 50 bucks on clearance. I feel like a couple of the brushes aren't as great as they could be, and there's a couple brushes that I could still use so I'll still be adding and refining my collection. 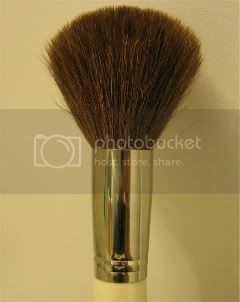 Part II of Brushes will be about additional brushes and how to take care of them.